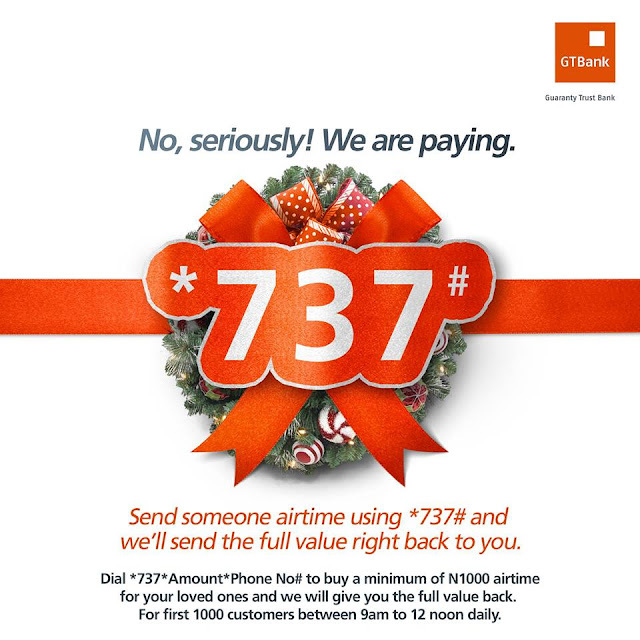 *Here is GTBank Airtime Christmas Giveaway. Starting today and for the next 7 days, between 9am-12pm GTBank will give the first 1000 people to buy airtime for their loved ones the same value of airtime back. Let's surprise your loved ones together, it's the season of kindness and good deeds. Seriously, we're paying! --Selected winners will get their full value back within 24 hours.